There are a variety of reasons people homeschool. Many parents choose to avoid public schools because of the rise in drugs and violence. Some homeschool their children because they are not being challenged academically in the traditional school system or they have learning difficulties and are getting left behind. Some families move around because of job or military transfers and homeschooling keeps their family together and their children from falling behind in their studies. Others want to incorporate their religious beliefs in their children's education. While each family has its own personal reasons for choosing home education, there is one thing all homeschoolers have in common--the desire to give our children a quality education in a loving, wholesome environment. There are so many benefits to homeschooling that it would take several pages to share them all, but we've mentioned a few here for starters. And, like Newton's Third Law of Motion, every homeschooling advantage has an equal and opposite disadvantage. Well, not quite. It's all how you look at it. But we included a few potential drawbacks of homeschooling here, too. Homeschooling gives you an opportunity to build a special bond with your child. If you have more than one child, your children will build close relationships with each other, as well. Learn together, grow together! You will be there when your child needs you. You can help your child develop essential emotional, social, and critical thinking skills. You will be able to enjoy quality time with your children while teaching them how to cook, sew, and shop. Even if your state requires a specific academic program and set daily school hours, you still get to choose your child's curriculum and how, when and where your child will learn the material. Your children can learn about the things that interest them and are not just taught to someone else's inflexible, one-size-fits-all standards. Mold your child's curriculum to your child's learning style and ability. 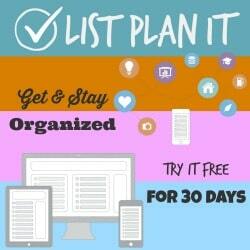 Arrange a schedule that works for your family. Visit museums and science centers during regular public school hours and have the place to yourselves! Your child is safe in the comfort of your own home and with other homeschoolers you know and trust. Your child wont have to deal with peer pressure or bullies at school. You don't have to worry about kids bringing guns and knives to school. You can protect your child from exposure to drugs in school and inappropriate behavior. Public school teachers have to spend most of their day managing the classroom. By the time assignments are given out, there's little time left to work on them, and students end up taking the work home. Homeschoolers are able to complete assignments in a fraction of the time leaving more time for fun. You will be able to offer Immediate help when there's a question. You don't have to pass out nonproductive busywork or waste time on concepts already mastered. Your child will have time to pursue other interests. Everyone needs a break once in a while, but when you're a homeschooler, it takes a little more effort to get personal time in. And since you'll be with your children during almost every waking hour, you will need a good deal of patience, too! Homeschooling consumes most of your personal time. Your children will have ample opportunities to argue with you (and amongst themselves) and push your buttons. Your house will be messy (from all that productive cooking and sewing, of course). I think this has been mentioned once or twice before. It takes time to prepare your child's curriculum and lesson plans. You need to keep yourself organized. If you're not organized, your children wont be either. You are the official taxi. It is your responsibility to make sure your child has opportunities to socialize with other children. As a home educator, you are solely responsible for your child's education. 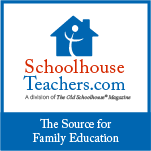 You need to keep up to date with current home education laws. You must be able to provide or arrange for adequate instruction. You are responsible for making sure your children reach their educational goals.